Hello, I'm Raven. I'm in Missouri. 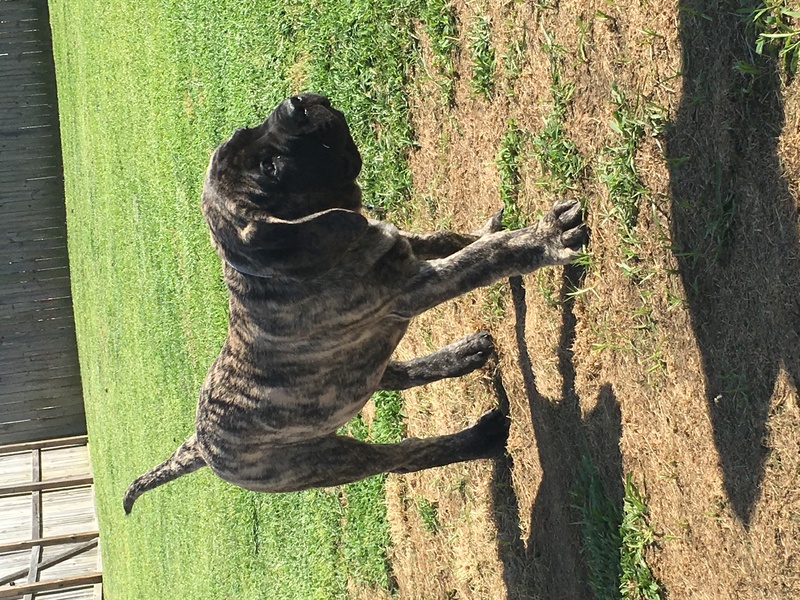 I don't have a mastiff yet but I'm in the process of researching and looking into breeders. Most of my experience with dogs is with bull breeds, particularly american bulldogs. 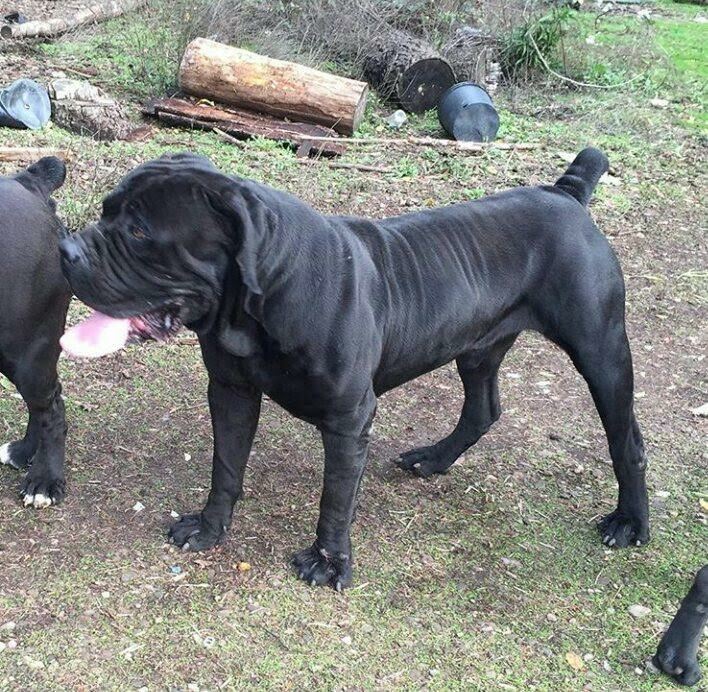 I'm - hopefully - going to be getting a mastiff as a service dog prospect. I'm disabled and working with a private service dog trainer to assess dogs. 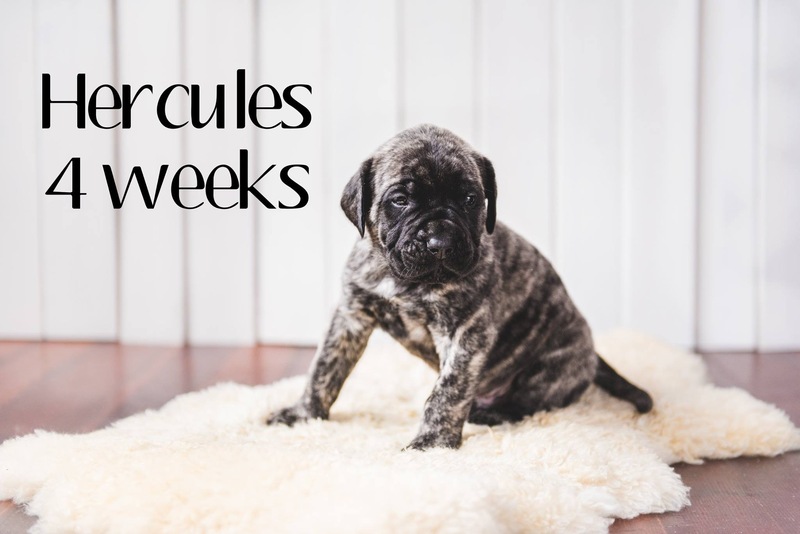 I'm hoping to learn a little here from experienced owners and breeders, people who have worked with the breed a long time and can give me a little bit of understanding into the way these dogs think and work. 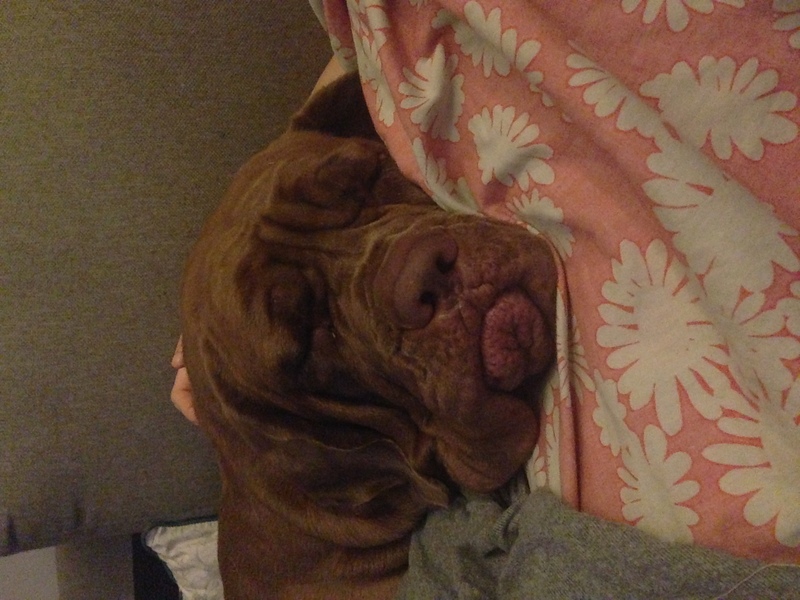 Im not a breeder or mastiff genius, just a current owner of a 4yr old english.. When mine was a puppy ( first 2 years) we fed him 3 times a day, 2 to 3 cups each time... These are very calm dogs and mine doesnt rush to eat all his food either, unlike my sisters lab that woofs it down in 2 seconds, which is not good and can be harmful to the dogs. I wouldnt worry to much about how fast she eats, if she is hungry she will eat, as long as she is eating some of it. If she doesnt touch it then there maybe something bothering her. We're long time dog and cat owners. 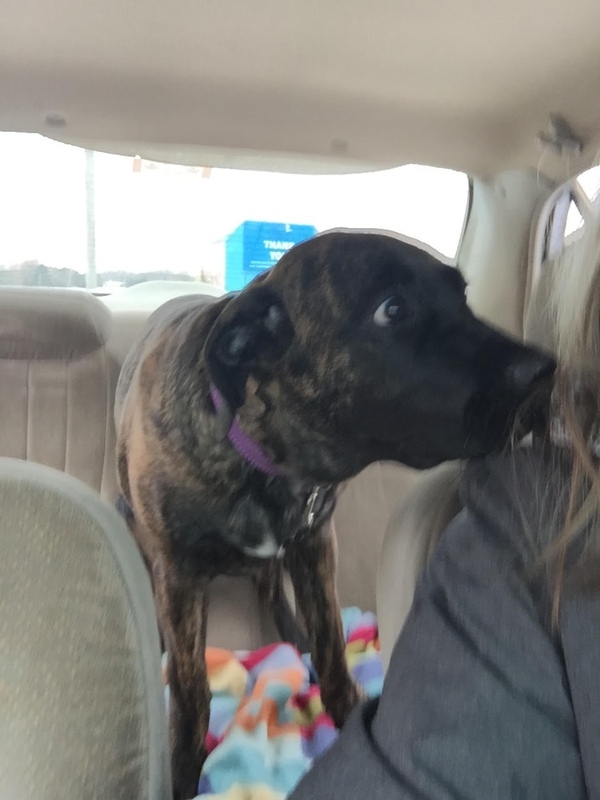 Currently have a 7 year old male GSD (working dog), a 12 year old female mini schnauzer who thinks she's a big dog, and our newest addition: Pete the Great, a brindle English Mastiff who is 17 weeks old (I'll post pictures later). We love Pete but not sure if the other two dogs do - when Pete's not exhausted he thinks everybody wants to play with him....not so much. 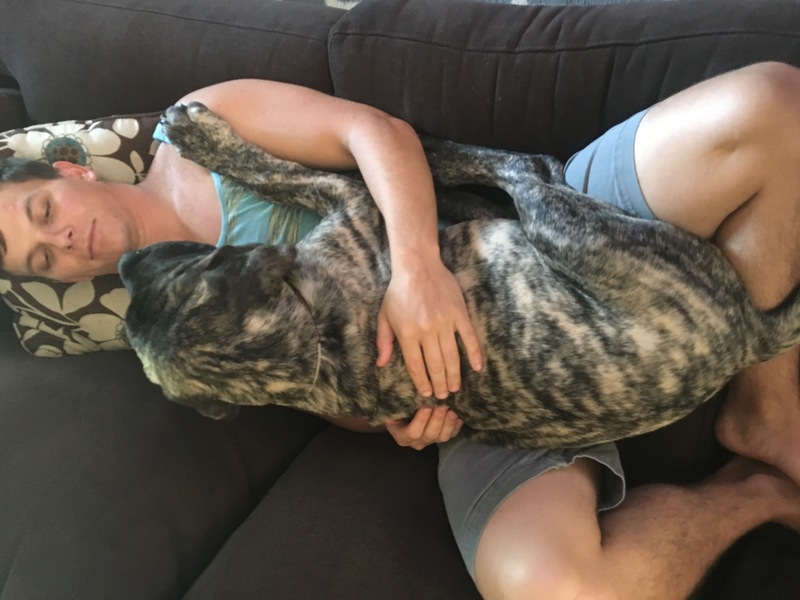 First mastiff and surprised at how sweet this breed is. Pete just wants to be with people or sprawling in the middle of the kitchen floor while everyone walks around him. Also surprised at how lazy and stubborn Pete can be. Strangers love Pete and are fascinated with his Peteness - the paws, the face, the eyes, the long legs. Peter the Great's philosophy is why move quickly when I can move slowly and still get there? 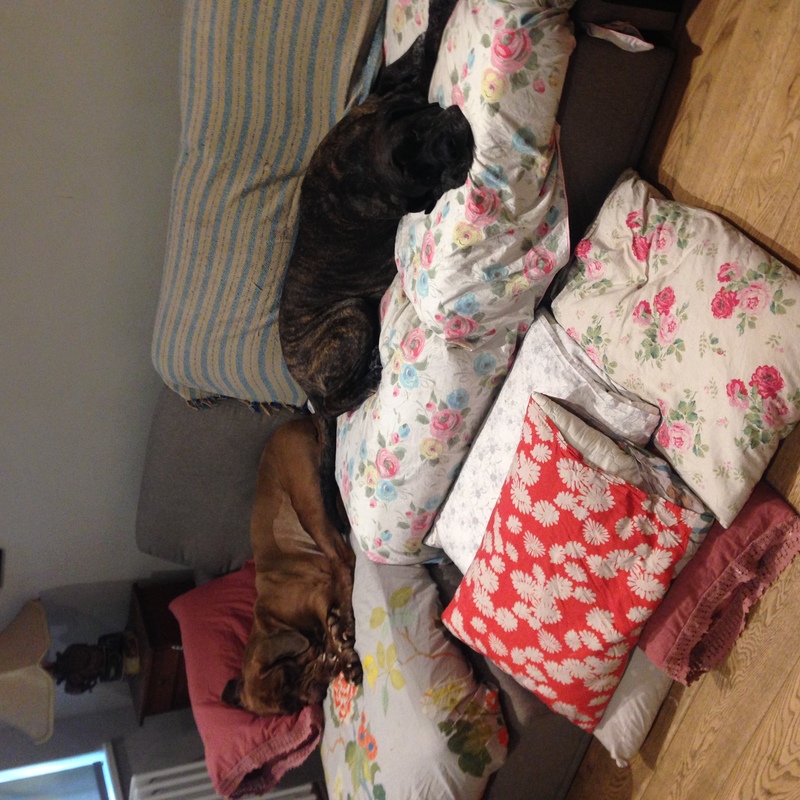 Hey guys I'm Caroline, I'm 31 year old illustrator living in London with husband and our 2 mastiffs Peanut who is an 8 year brindle English Mastiff and Rhubarb who is an orange dogue de Bordeaux X Neapolitan mastiff and nearly 4 years old. 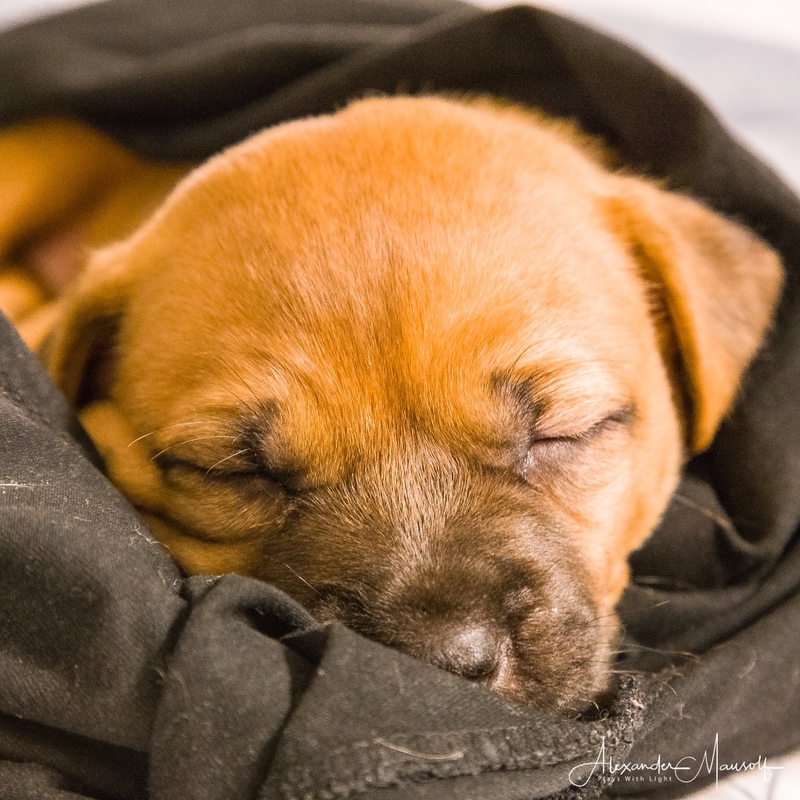 We have one human baby on the way too, and it's funny because when I found out I was online looking to rescue a 3rd mastiff baby... Maybe I'll wait a bit now and the little one can have a mastiff of his or her own to care for. 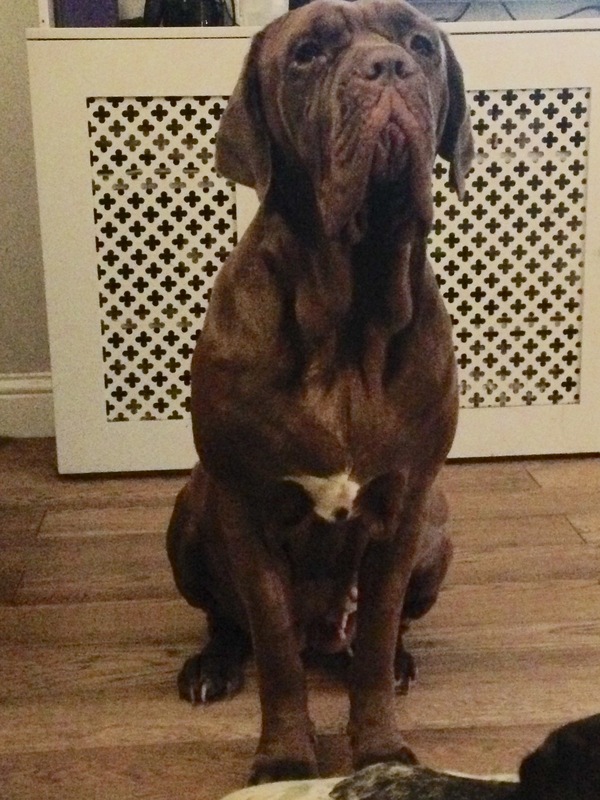 The dogs are everything to us, we love dogs in general but especially mastiffs and other big head breeds, my dream is to move up to Scotland where we can afford more land and to start a doggy day care centre and rescue. My girls are so wonderful, gentle and kind, so soft that I thought they'd not even protect me in a danger situation but when a fight broke out in the street and tumbled into my house (inner city living I guess ) peanut proved to be quite the fierce dragon! Anyway thanks for having us on the forum. Hello, guys. My name is Plamen, I am from Bulgaria. I have a dog (almost 2 years old), I will be happy to chat with dog owners and dog lovers here! my mastiff is original from Tibet. very strong and friendly. 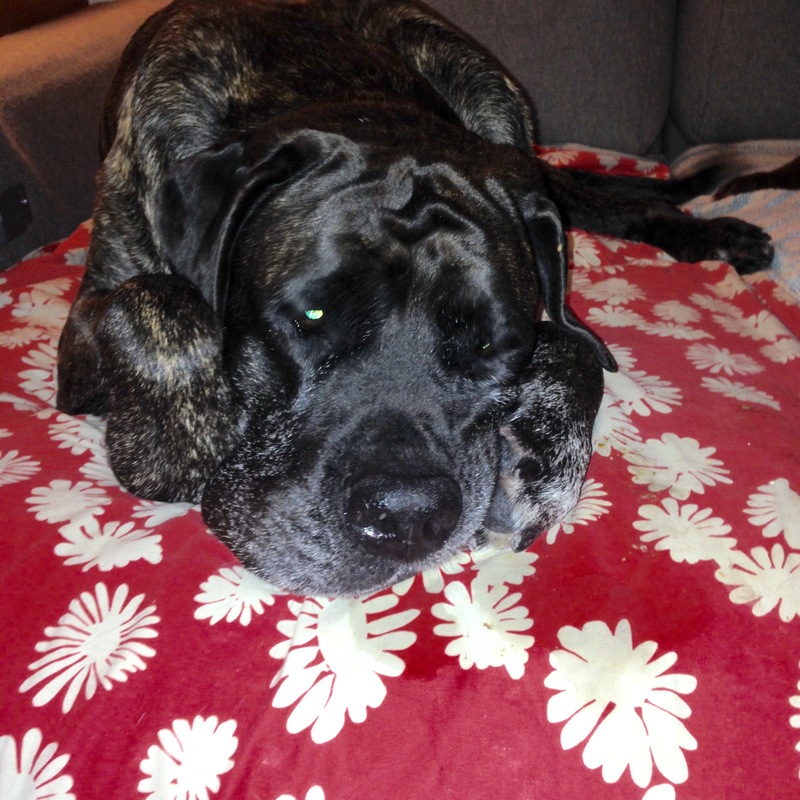 What stuff are you give to your mastiff when she is pregnant? I used to feed folic acid to her last year. It is very good supplement. I just just joined the Forum and wanted to introduce myself. 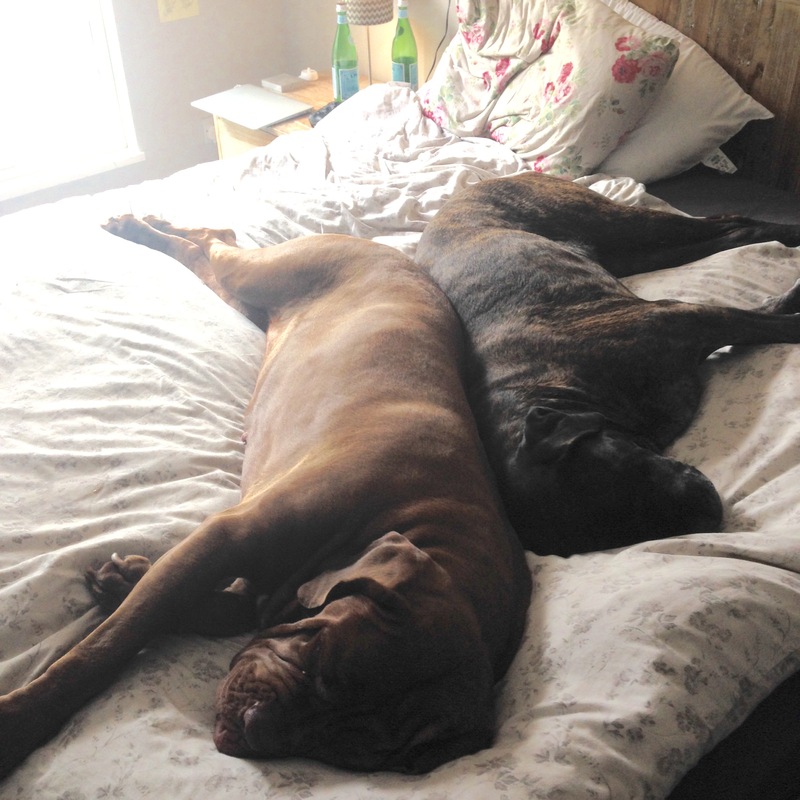 I'm a long-time Mastiff owner, although I am currently dogless (hopefully not for too long!) 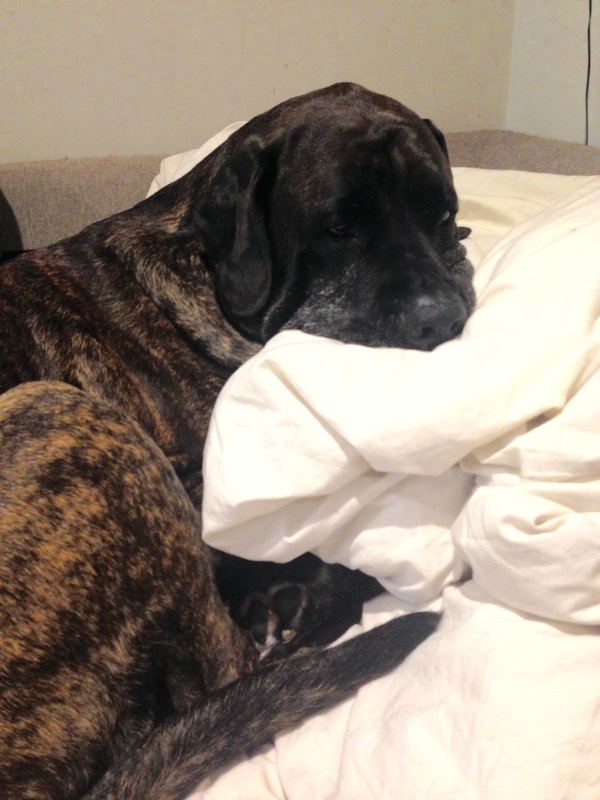 since the passing of my big Mastiff Forsythe, who made it to a healthy 14 years before quietly passing peacefully during a routine nap. I want to thank Linda for having this wonderful forum where there are so many great people. 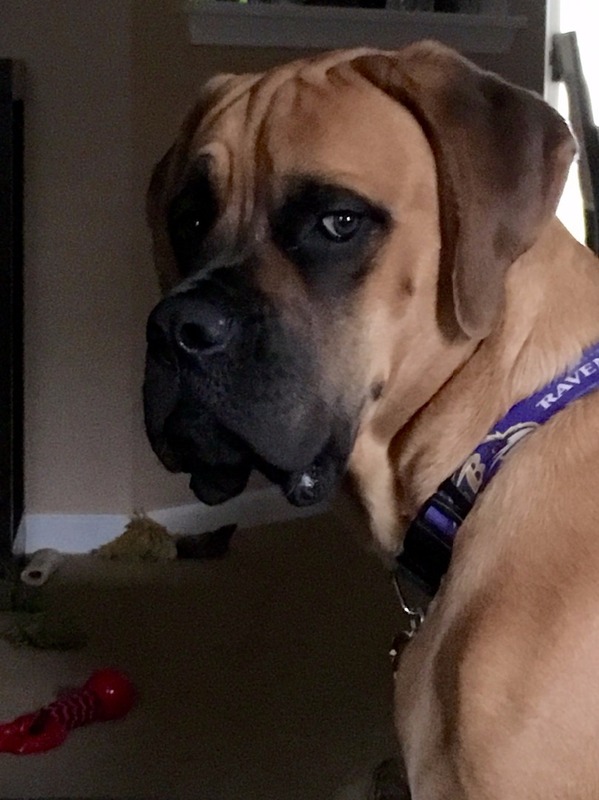 I'm really looking forward to interacting with others here like me who love Mastiffs and just dogs and animals in general. Hope you are all having a great summer! Hi everyone! I just joined this forum and I wanted to introduce myself. 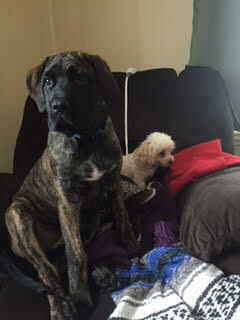 My name is Ashley I have a 6 month (25weeks) 100lb big baby English mastiff named Reggie. This is my first EM and I already know I would ever get a different breed again! Me & Reggie look forward to meeting all of you, and esp seeing all of your babies! My apologies if I keep responding, but I haven't mastered negotiating this site yet! I'm Lauren and have my 1st EM, Unitas. We've had him since 8 weeks and he just turned 9 months old. He is so awesome. A little skiddish around people, which is a new behavior, but will warm up. We taking often to the dog park and he loves playing with the other dogs. 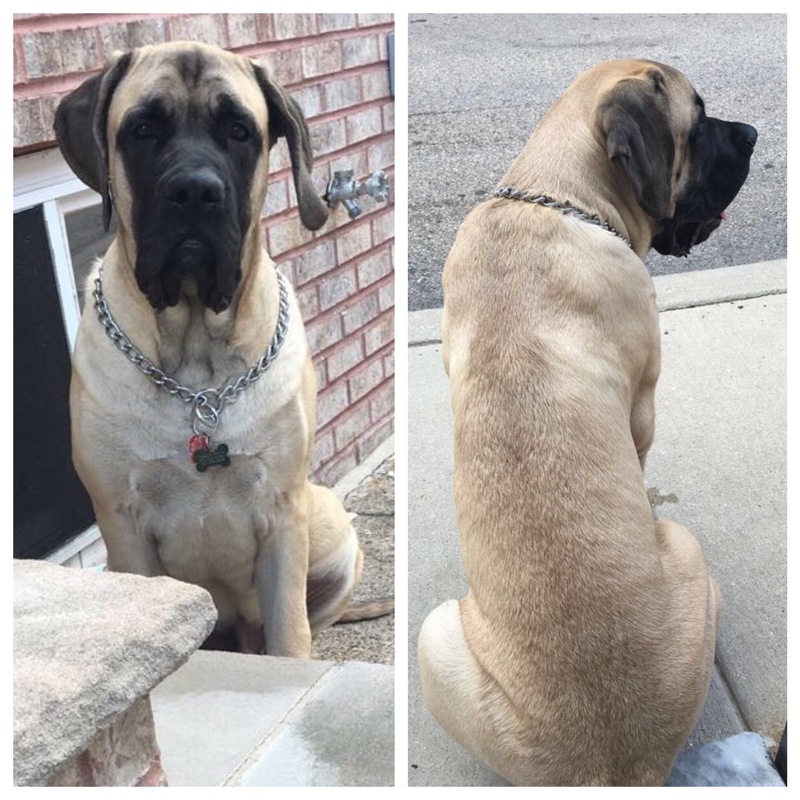 He doesn't know how big he is, although currently, I think he's a little on the smaller side at 115lbs. He's extremely tall and lean and has lots of filling out to do. We love cuddling with him, but he certainly has no sense of space. 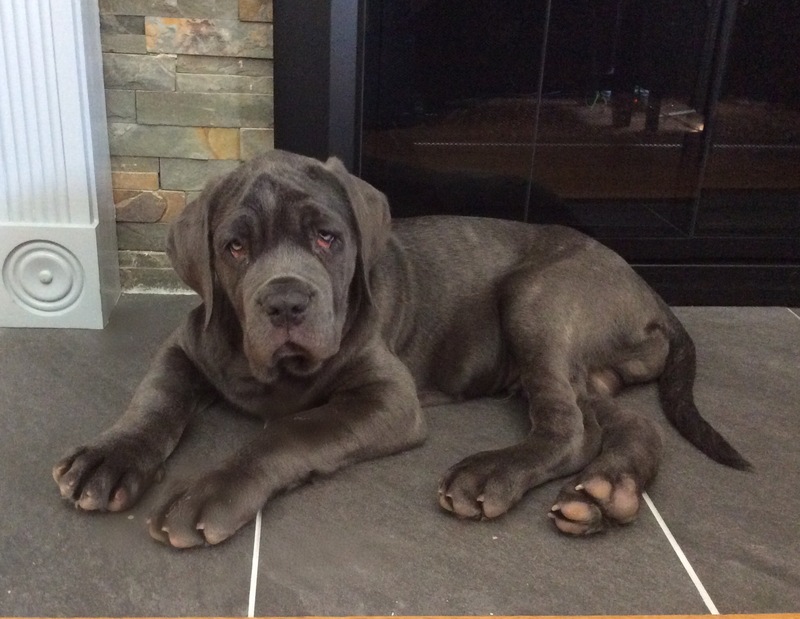 I grew up with Great Danes, but this Mastiff has us hook, line, and sinker!!! Looking forward to reading all of the posts and advice from everyone! Unitas is a neat name, and what a handsome face! Hi everyone. My name is Natalie. I have newly adopted a 12 week old half Blue nose pitbull, half mastiff named Nova. 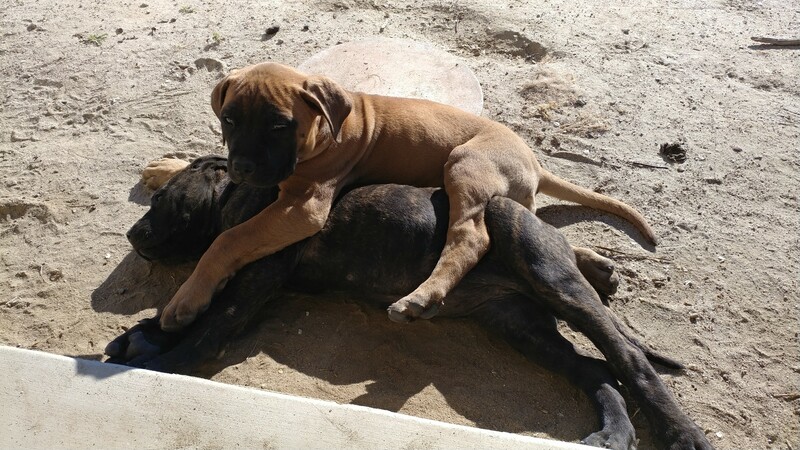 Her mother was the Blue nose and her father is the mastiff. 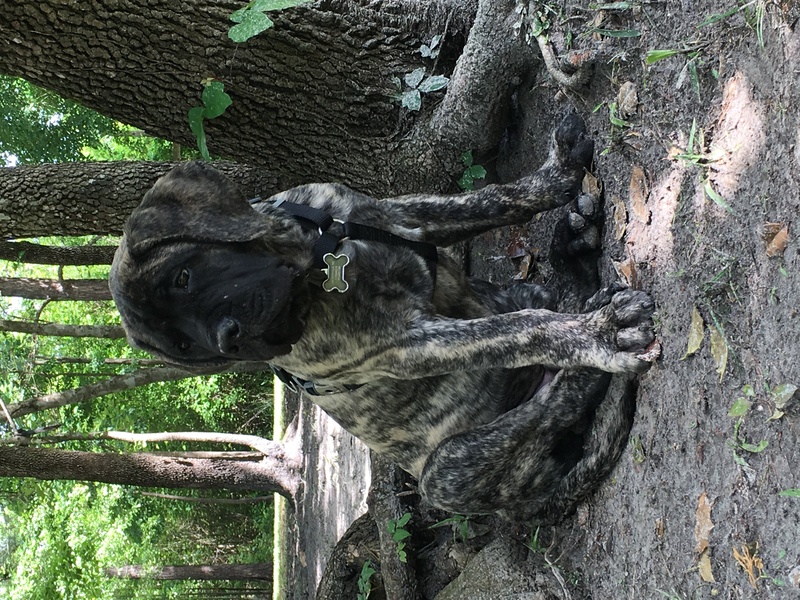 My only problem is I do not know what type of mastiff her father is. 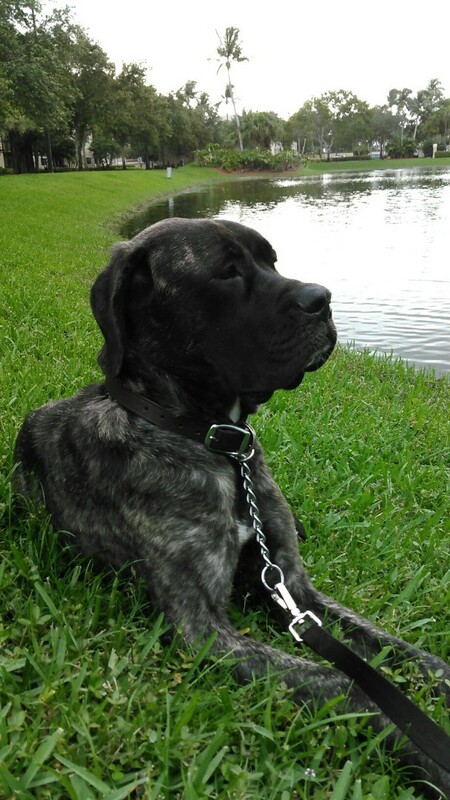 I have plenty of experience with pitbulls but not much with the mastiff family and would love to hear your opinion. The woman I bought Nova from owned the mother and had this one picture of the dad . Could you guys help me out so I can fully understand my new pups breed? Baby Bella! She will be 5 months old in a couple days. When I got her she was just 8lbs she is now around 75lbs. This is the funny thing I also have a 6lb mix poodle, Sunny thats 8yrs old. So when ever Bella is spooked she runs and hides behind my poodle Sunny. 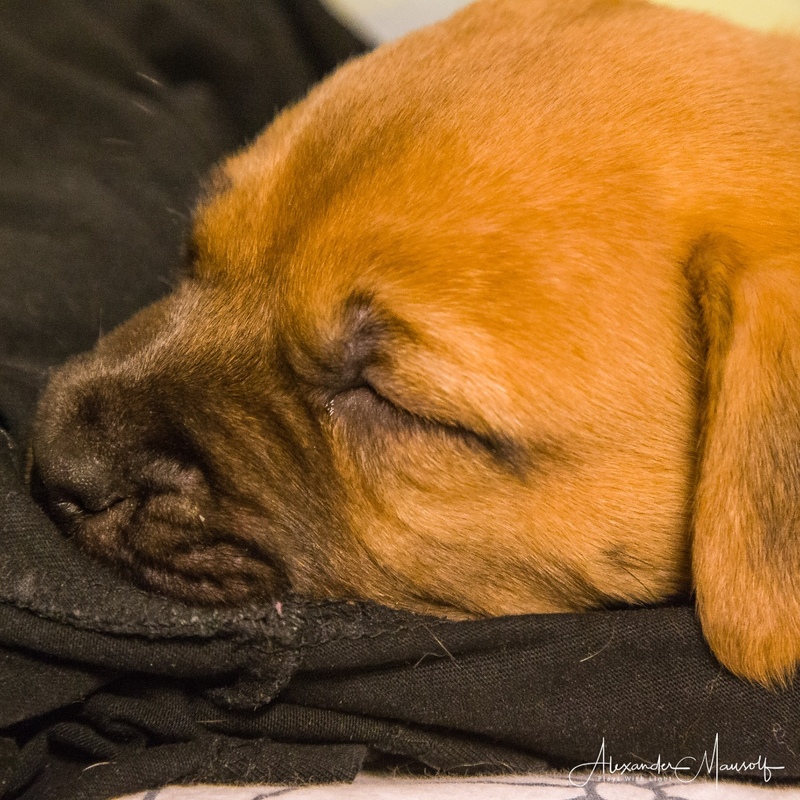 We brought home 2 Mastiff pups. 4 months old today. I hope the place is still active. I just see posts from 2007. This photo is from when we first got them 2 months ago. 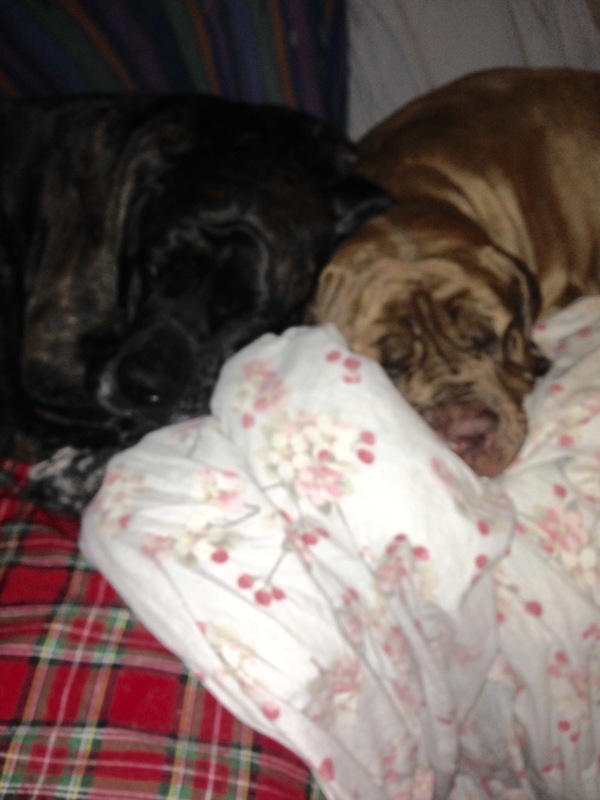 We brought home 2 Mastiff pups. 4 months old today. I hope the place is still active. I just see posts from 2007. This photo is from when we first for them 2 months ago. Good luck with your new pups! It'll be a lot of work but also fun and rewarding. Welcome to the Forum. Hi - I just joined as well and thought the site was not active either as posts were all so old. I just figured out that they are showing in order, instead of the newest showing up first. If whoever manages this site sees this, it would be a great help if the newest posts are listed on the most current pages. I had to come to the last page to read current posts, and it appears it is site wide. Thanks!! Hello! 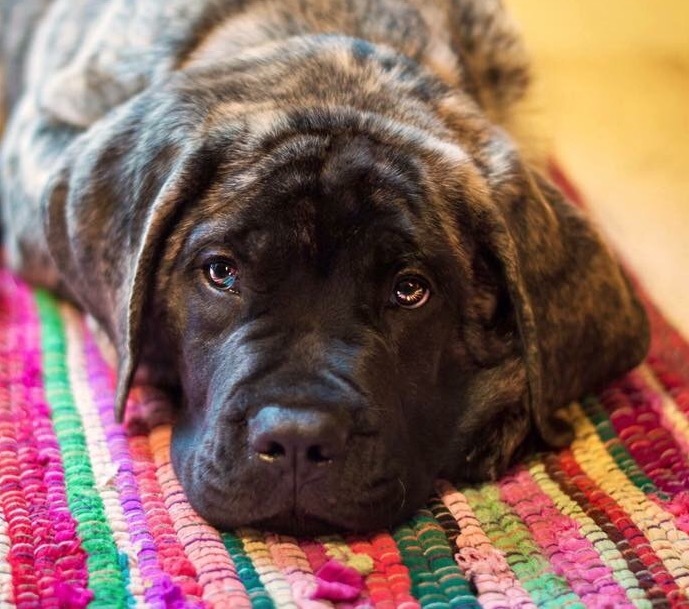 I am new to the forum and I recently acquired a young mastiff puppy! (DOB 7/1/2017) Her registered name is Noble's Wicked Witch of Salem Moon, though I just call her Aurora. We live in south Florida! Her papa is Salem Moon's Prince of Darkness, momma is Dragonhall's Deanerys Queen of Dragons. I'm super excited to have her, she's brought nothing but joy to my life since the day I picked her up. I'm told she's show quality, and I have her on a breed-back contract with her breeder. Hopefully I'll get to meet some of you in the show ring some day~! 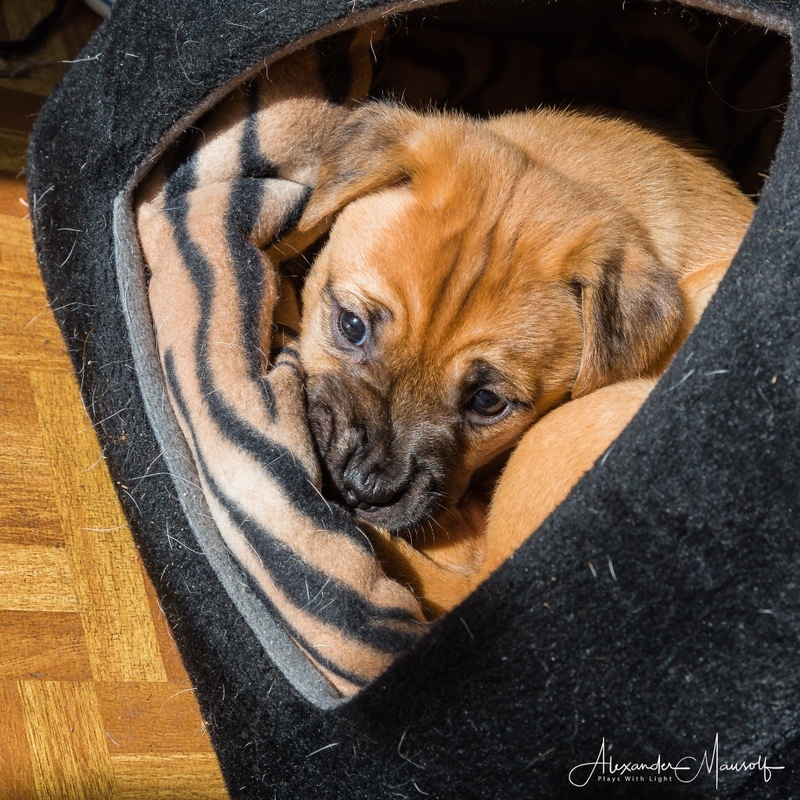 I'm Alex and I'm the proud and doting daddy to a 5 week old female English Mastiff x French Mastiff, born on the 26th of May 2018. Unfortunately, her mum stopped feeding the litter at about 3.5 weeks of age. The breeder looked after them for another week and a bit, with round the clock care, but was unable to continue doing this due to some medical issues of her own, which has meant that I have had to take on my pup much earlier than expected! I got her last Saturday. I've named her "Fenna," which is a Dutch girls name, meaning "Guardian of Peace." This is very appropriate for her, as she's actually going to be trained up as a Psychiatric Assistance Dog (Service Dog to those of you in the US of A) so as to help with my PTSD. She's incredibly quick to learn, within a day she was answering and coming to her name being called, she had grasped the concept of toileting outside and requests for this now, she passed all manner of checks for aptitude in regards to becoming an Assistance Dog (which I'll keep checking for each week, as I am aware that these things can change over time) and she's settled in here beautifully, with her only waking me 3 times a night now for toileting, feeding and more playtime before some ZZZ's. 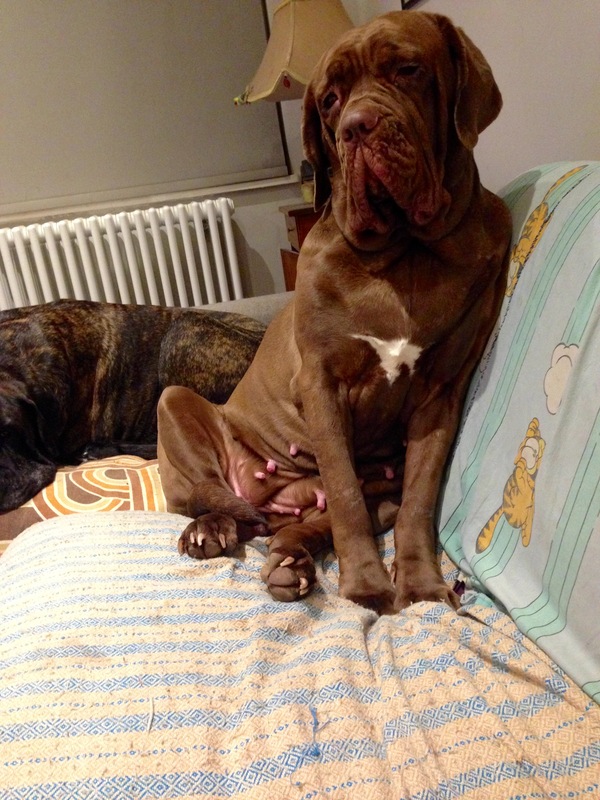 She'll be off to the vet's this Saturday for the first of her immunisations and a thorough health check, but already, reading the standards for Mastiffs, she's very sturdy, inquisitive, active, well mannered, and with no displacements of any obvious sort, but I'll wait on the vet's okay there. 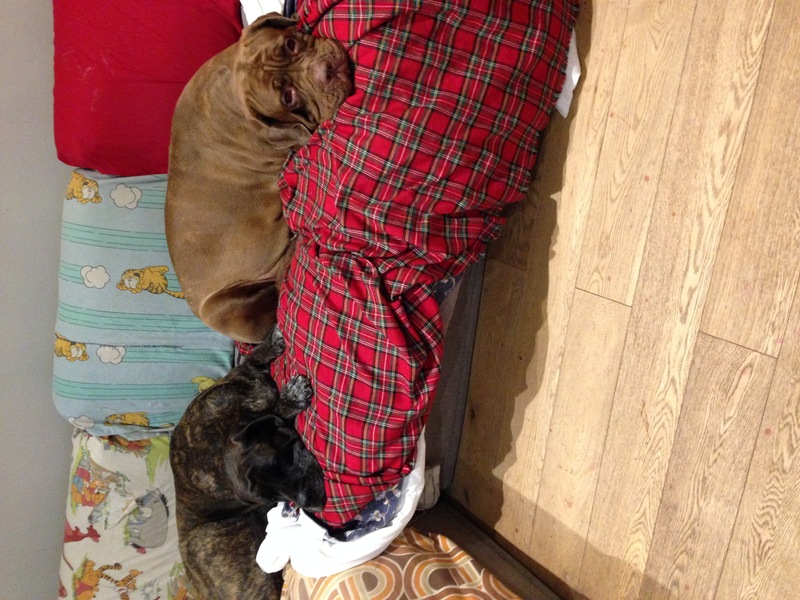 I'm glad to be here in a setting of others that love and adore their Mastiffs! From what I read yesterday it seems to be a very supporting and sharing place and community. Here's a few photo's of her taken since getting her on Saturday. She's a little over 3.3Kg in weight, so it'll be interesting to see what she ends up as, weight and size-wise.